Kids are given 5 strips of paper. They write something they are really good at on each of their strips. They link their strips together to create a small paper chain. Then, they measure it! As a class, they help link all the chains together. Use blank strips of paper in between each child's chain. 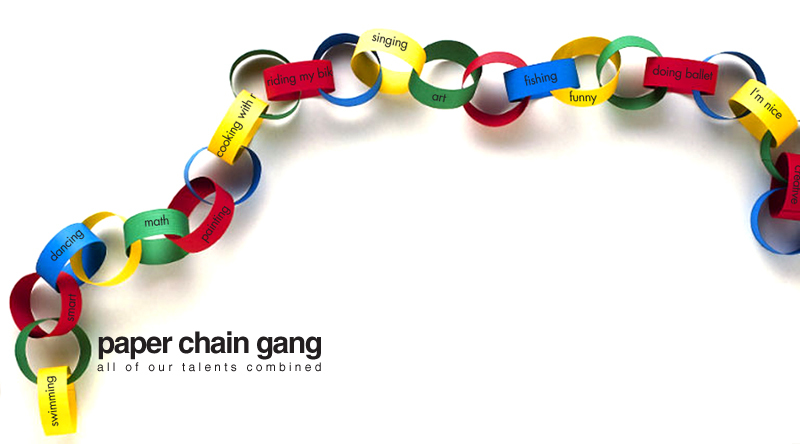 Have kids estimate the length of the giant chain. Then, as a class measure it! Did anyone come close to guessing the actual length of the chain?! Look at the variety of talents in the room! (Compare the length of their chain to the giant class chain.) If we all work together, we can accomplish anything! I like to do this, but with asking students to find something they have in common with the next person. The next day, we get in a different order and add to the chain. By the end of that first week, our chain is HUGE- and shows that we are all connected to each other.